Andrew WK may be a rock God, but he is also a unique character. Kitted out in his usual white t-shirt/ white trouser combo, and sporting mirrored sunglasses, the party legend talks quickly and animatedly with us about music, his career and why its taken him so long to play Download. You just presented the Kerrang awards with Benji Webbe, how was that for you? Well it’s obviously a great privilege to attend it at all, but to be able to host it for the second year was even more special and very unexpected. I was surprised initially to be asked the first year, and really learned a lot working with Scot Ian. Then to take over, in a sense, from him and work with Benji Webbe was again just a great pleasure, really fun. Very well organised event, everyone was very nice, many icons and legends and many younger folks as well. Just a good feeling in the room overall. 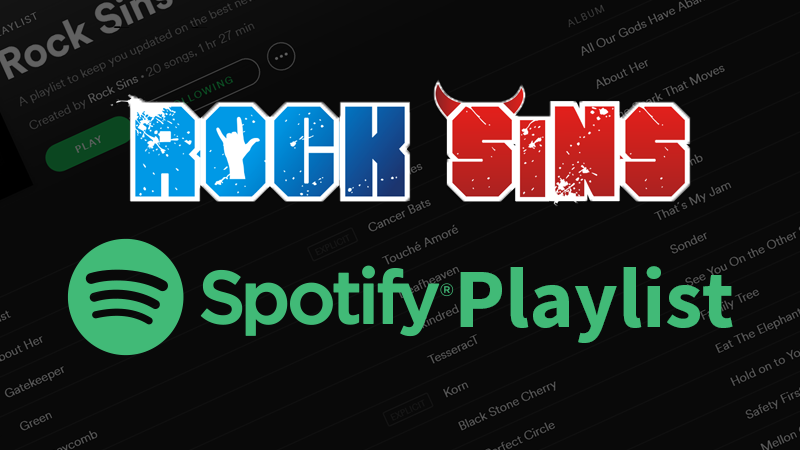 Why has it taken you so long to play Download? I guess when they invite you to play is when you get the chance to play. I’m very thankful again to be invited after all this time. Especially as it’s more unlikely to happen the more time goes by, so we were very surprised and very thankful. For all the folks out there that have wanted us to play over the years, I hope that they share in that excitement of it finally happening. We don’t question it we just are grateful. So its finally time for everyone to get wet, do you think that’s a sign that it’s raining? Well certainly it’s one of those days where you really can get wet without even trying, thanks to the nature. At the same time we’re playing in a tent so if there ever was a time when you could avoid getting wet, in that sense, we’re able to do that. But imagine because of the moisture in the air and of course the rain throughout the rest of the day, that someone chooses to seek shelter, we do hope that they seek it in our tent at that hour. It will be a mud fest, I guess, either way. And even if you are dry you’ll work up a sweat, I hope. Are you looking forward to playing? Oh absolutely, yes we play at 7.55pm so it’s a prime hour, I suppose it might not be that dark by that point but that’s again a great thing about being in the tent we’ll really be able to take advantage of those lights which add a lot of excitement to the show and have that atmosphere. The sound, in my opinion, is usually improved when you’re in a relatively super enclosed area so even though I think a relatively short show we’re going to jam as much excitement and all the energies as we can in to that block of time. We heard a rumour that the Kerrang! Rock Fox is going to invade your stage, is that true? So you’re very good at giving partying advice to people, what is your advice to people in a wet festival environment, to still have a good time? Well you know, I would actually imagine they might have more advice for me in the situation. I’m very impressed with the hardiness of folks that choose to spend several days in this atmosphere. You know the rain definitely adds another dimension. You need to really be hardy to withstand the emotional impact that that type of feeling can have. Being cold and wet for extended periods of time can affect one’s attitude, so you have to really be resilient. I really admire, not just the skill that’s required with camping and the endurance that’s required for an event like this, but also the resilience of the people who really want to make sure they get the most value out of their time here, no matter what kind of conditions they may find themselves in. So there is a chance I would learn and seek advice and inspiration from these masters of hard-core hardy camping. There’s so much team effort that goes in to putting an event like this together and everyone’s effort counts, you know? No-one just magically arrives here, you have to want to be here and you can definitely feel that, it’s exciting. Are you going to get to check out any other bands? I would imagine that we’ll have a chance or I would hope so. As always there’s too many bands to want to see that we’ll be able to see. Very intense, very impressive line-up, there’s bands that we didn’t even realise were going to be here that even today, we’re finding out are here. Some of them are playing right at the same time, some of them played on the other days but the beautiful thing is that they’re here in spirit and you’re surrounded by that even if you don’t see every single band’s show. Just their presence is palpable. I’ve heard that you were involved in bringing Obituary out of retirement. Is that true? Well I would never be so bold as to say that. If someone wants to think that I had a hand in that that would be nice, but not really. They had taken an unofficial break, they’ve never broken up, so it would really not even be possible for them to reunite because they’ve never really ended. They just went away for a little bit, in an unofficial capacity and Donald Tardy, their drummer, played in my band, basically helped for my band. I mean that’s a very long story in itself but one that changed my whole life certainly for the better. Eventually they just started playing again, and you know what the most amazing thing was and actually we were talking about this earlier today, is they’re bigger than ever now, even than before that quieter period. Sometimes that’s what happens, you go away in some capacity so that you can come back even stronger than before. And as a huge Obituary fan, no-one’s happier than I am, except maybe Obituary themselves, that they’re playing. Actually I wasn’t even able to see them play during that prime time when they could have been playing because they weren’t playing shows so to have them be back and playing shows is great for everybody. I listen to their album and the music probably every day. So I’m very thankful that they’re doing what they’re doing and that it’s going so well. Ah, nothing in particular, just partying and doing this, that and the other, just trying to exist, really. Are you planning to record any time soon or write? I would like to, I don’t really plan, I don’t have any plans, you know. It’s something I want to do but I follow orders as the best I can and that way it’s worked out pretty good. Follow the orders, you know? Obey the forces and try to do what they ask. Have you got one final message for everyone who’s out there and for your fans and for everyone that’s going to come and party with you? Well thank you very much for building this with us. It means a great deal, and every passing day that it continues and gets to keep happening I’m more amazed and more thankful and more aware of the fact that it’s been this group effort all along. Your contributions really mean a great deal to me, so thank you. Thank you very much for taking time to chat. 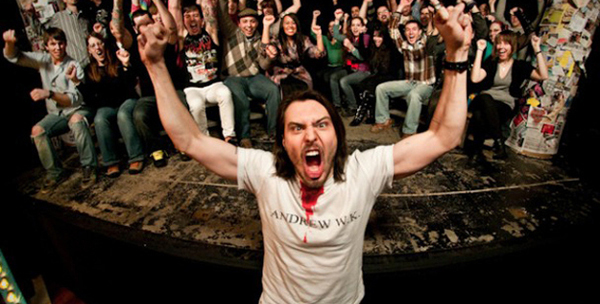 Andrew WK can be followed on Twitter at @AndrewWK.